The Capezio Extend is an innovative shoe specifically designed for those who love to dance barefoot or prefer to dance with minimal footwear. The Extend’s seamless design offers a sleek look, and its stretch Spandex/Nylon fabrication allows it to comfortably hug your foot. The microfiber sole allows you to dance securely on a variety of surfaces, yet it maintains the “floor-feel” of dancing barefoot. Additionally, there is an anti-slip application inside the shoe that keeps the heel secure. It’s machine-washable too! 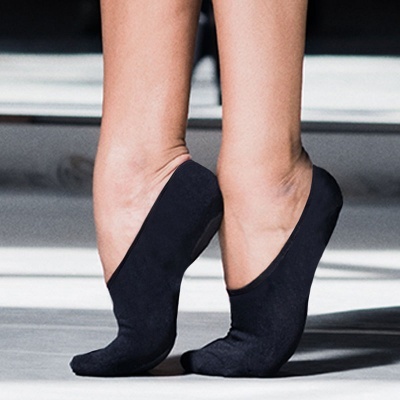 For added stability, wear with Capezio Arch.